BOSTON, Massachusetts -- Aaron Hernandez's family wants to donate his brain to science, but Massachusetts officials are refusing to release it despite turning over the rest of his body to a funeral home, the former NFL star's lawyer said Thursday. Hernandez, who was serving a life sentence for murder, apparently killed himself in his prison cell on Wednesday. 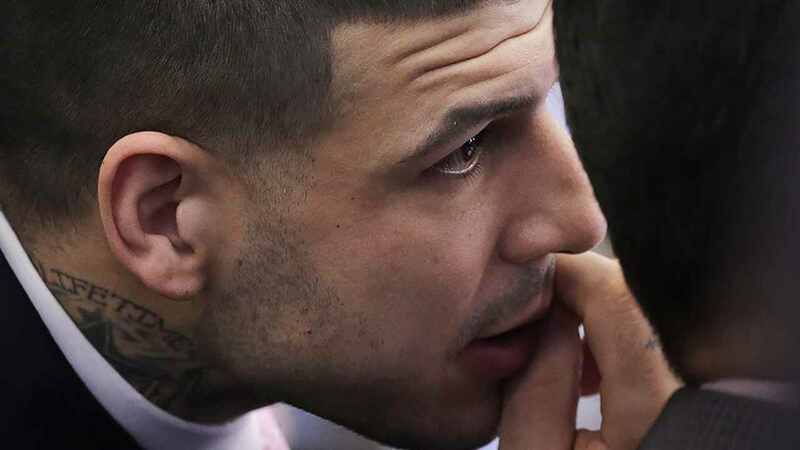 Hernandez attorney Jose Baez said the family had arranged for Boston University researchers looking at brain trauma in athletes to take possession of Hernandez's brain following the autopsy. The medical examiner released Hernandez's body Thursday, but Baez says the office has not given them back the brain, as initially promised. Reporters seeking comment from the medical examiner's office weren't allowed into the building. Baez said the family will be seeking an independent autopsy. "If we don't get answers and answers quickly, we're going to court," Baez said in front of the state Medical Examiner's office in Boston. "It is literally a destruction of evidence." He declined to say whether he or the family believed brain damage from Hernandez's playing days led the 27-year-old former New England Patriots player to kill himself. Authorities on Thursday clamped down on releasing more details about Hernandez's apparent suicide. Hernandez apparently hanged himself from a bedsheet affixed to a window in his cell at the Souza-Baranowski Correctional Center in Shirley. Guards found Hernandez shortly after 3 a.m. Wednesday. Prison officials say Hernandez jammed the door to prevent officers from entering, didn't leave a suicide note and wasn't on suicide watch because he didn't appear to be at risk. But they have yet to release the incident report, officers' logs, video footage from the area around Hernandez's cell or other details about prison protocol, despite repeated requests from The Associated Press. Aaron Hernandez committed suicide days after he was acquitted in a 2012 double murder. Correction Department spokesman Christopher Fallon said the agency won't comment until the investigation was completed. State police spokesman Dave Procopio also cited the "active" investigation in not releasing more information. And the state medical examiner's office declined to comment on the status of its autopsy or the release of Hernandez's body. Andrea Cabral, former Massachusetts Secretary of Public Safety, oversaw the state prison system under Democratic Gov. Deval Patrick. She said investigators will be looking at "who was on duty, who signed what and what was signed by people." The Faggas Funeral Home in Watertown, Massachusetts, confirmed to the AP that it received the body but that funeral services will likely be held elsewhere for the Connecticut native. Many other questions remain unanswered, including why Hernandez would kill himself just days after the he was cleared of two murder charges. He had been serving a life sentence without parole for the 2013 slaying of a onetime friend. But during his trial in Boston for the killing of two men in Boston in 2012, he appeared upbeat, constantly backslapping his lawyers, letting out bellowing laughs and blowing kisses to his 4-year-old daughter and other family members in the audience. 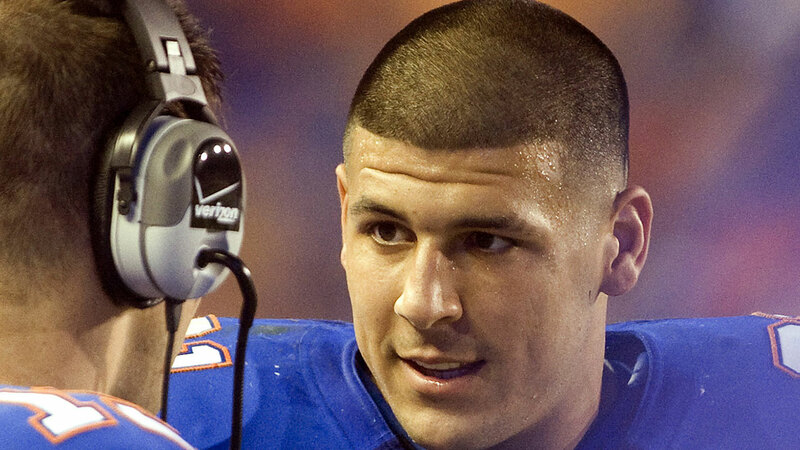 The former University of Florida standout died five days after a jury acquitted him in those two deaths, which prosecutors alleged were precipitated by one of the men accidentally spilling a drink on Hernandez at a Boston nightclub. News of the death came just hours before his former New England Patriots teammates visited the White House Wednesday to celebrate their Super Bowl victory. The apparent suicide left friends, family and his legal team in disbelief. Many were searching for an explanation to the tragic end of a young man whose football skills at one point earned him a five-year, $40 million contract extension with the NFL's top franchise. Baez declined to comment further Thursday on a range of new reports, including that Hernandez was on the phone with his fiancee, Shayanna Jenkins-Hernandez, hours before he was found hanging in his cell early Wednesday. That was first reported by The Boston Globe, citing another one of Hernandez's lawyers. The AP left phone messages for and sent emails to Shayanna Jenkins-Hernandez and her lawyer. What's to become of Hernandez's estate is another unanswered question. The 5,800-square-foot, five-bedroom, seven-bathroom house that he bought not far from Gillette Stadium for $1.3 million in November 2012 is still up for sale. It was put on the market for $1.5 million in March 2016. Since then, the asking price has dropped to $1.3 million. Attorneys for Lloyd's mother have placed an attachment on the house as part of their civil suit against Hernandez. The Internal Revenue Service has a $117,395 lien on the property. The real estate agent did not immediately return a phone message seeking comment.